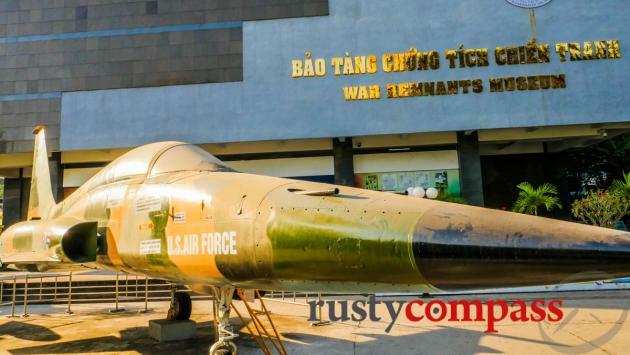 The War Remnants Museum is Saigon's most visited museum. It provides a graphic account of the horrors of the Vietnam War from the victor's perspective. It's a must-see for anyone wanting to explore the horrors of the war. Be warned, it's graphic and confronting. 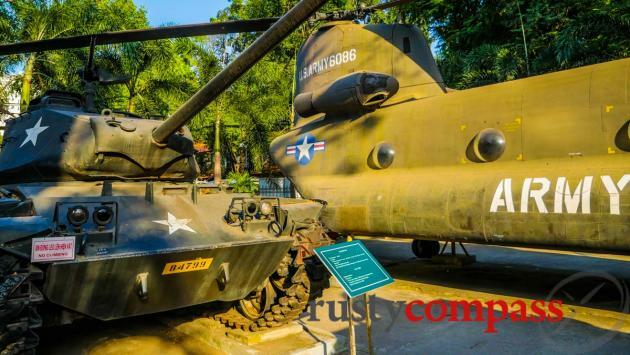 While things tend to move very slowly at Vietnam's museums, the War Remnants Museum has been an exception and has evolved and expanded significantly as its popularity with tourists has soared. 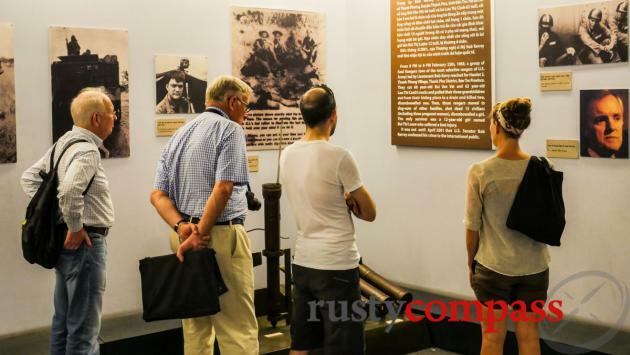 Once a simple colonial era villa with some outdoor displays, known as the Museum of American War Crimes, it now spans 3 floors and includes an extensive recreation of the former prison on Con Dao Island. 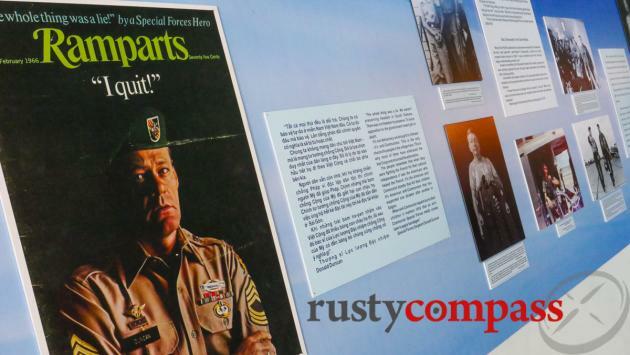 The museum's name has softened as relations between Vietnam and the US have warmed, but the depiction of US crimes in Vietnam is graphic and uncompromising. 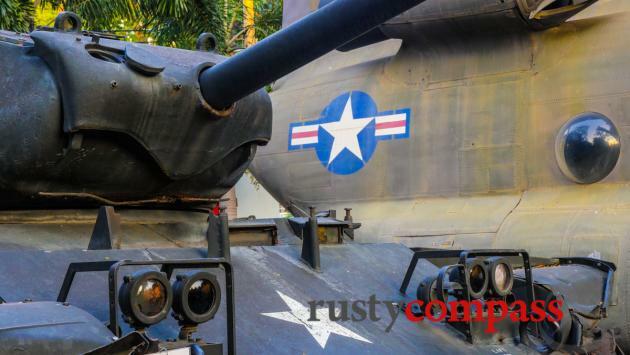 The outdoor section of the museum displays the hardware of the Vietnam War - tanks, aircraft and weapons. Inside is a more disturbing experience. The victors get to write the history of war, and this museum has grabbed that opportunity with fervour. Many of the exhibits and pictures are explicit (defoliant affected foetuses, pictures of hideous atrocities) - but they tell an important story. It is estimated that more than 3 million Vietnamese died in the Vietnam War - many of them civilians. The museum provides an opportunity to reflect on that terrible carnage. At 58,000 deaths, the horrendous US casualty number is less than 2% of the Vietnamese loss. 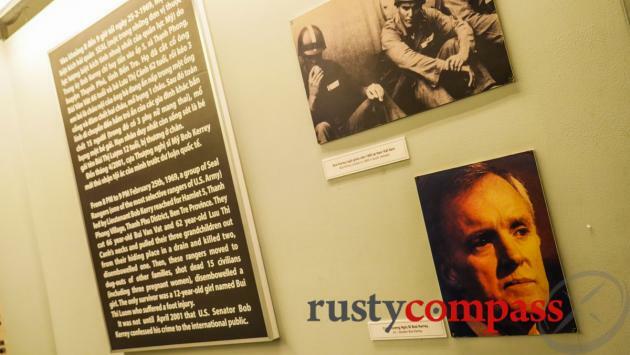 One dramatic exhibit refers to the slaughter of civilians in the Mekong Delta village of Thanh Phong in 1969 by a group of US Navy SEALs, led by Bob Kerrey. Kerrey went on to serve as Governor of Nebraska and as a US Senator. That there was terrible loss of civilian life in the raid is uncontested. Kerrey and others in his SEAL team dispute the details - though there is also corroboration of the account provided at the museum that women and children were slaughtered in cold blood. Kerrey’s name is misspelt in the museum’s account and he shouldn’t be confused with John Kerry, also a Vietnam War veteran, a US Senator, and President Obama’s Secretary of State. The ground floor covers the international anti-war protest movement and acknowledges its assistance in the communist victory. The upper floors cover the horrors of the war itself. One of the highlights of the museum is the Requiem photo gallery - in its creation, a reconciliatory gesture. It’s comprised of images taken by photojournalists killed in action from both sides of the conflict. Requiem is one of the most powerful anti war exhibits you’ll ever encounter. 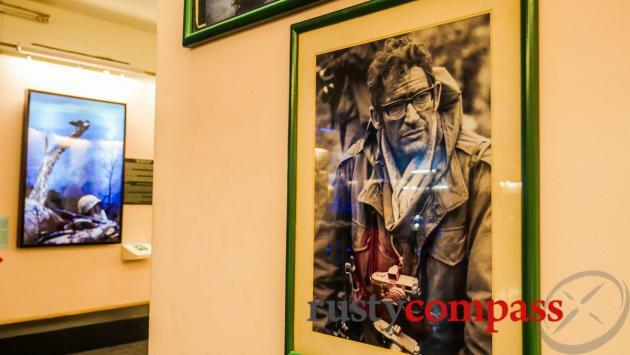 It was put together by iconic Vietnam War photographers, Tim Page and Horst Faas. Another outdoor section has reproduced the brutal tiger cages of the former prison on Con Dao Island. Originally created by the French for the incarceration of anti-colonial leaders, Con Dao was later used by the US backed South Vietnamese government. Many of Vietnam's most celebrated national leaders spent time in the French and later South Vietnamese prison. 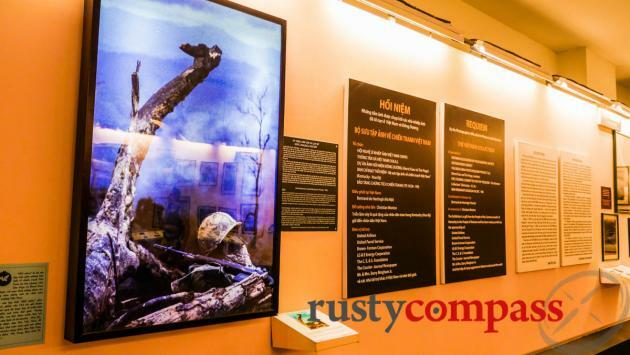 The War Remnants Museum is unashamedly propagandist and unapologetic in its selectivity - and it will prompt some reflection on the propagandist function of museums in Vietnam and everywhere. Wars with China and Cambodia are overlooked. The tone has barely evolved in the 25 years I’ve been visiting. US atrocities are the focus. The South Vietnamese government is referred to as the “Saigon puppet” regime. There is not a hint of reconciliation with the Vietnamese who fought on the South Vietnamese side - less an acknowledgment that patriots on both sides died in the conflict. More than 40 years after the end of the war, it might be time to acknowledge the terrible loss and suffering on all sides - and that there were good, committed people on both sides. Vietnamese people know it, anyone who lives in Vietnam knows it. How long will it take for museums like this one to come out and say it? Curated by American anti-war activist Ron Carver the "Waging Peace" exhibition is focused on resistance to the Vietnam War by American servicemen and women, during service and afterwards at home. It’s an eloquent tribute to the power of acts of civil disobedience, dissent and free speech. 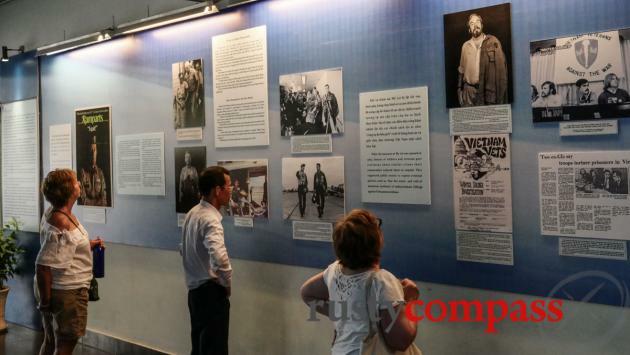 The resistance of the protestors is gratefully acknowledged by the Vietnamese government both in this exhibit and in a wider display at this museum and others. The protest movement helped bring an end to the carnage of the war. Vietnam however is less receptive to protest at home. The kinds of protest and civil disobedience applauded in the exhibition would not be tolerated today, or at any time since the end of the war, in Vietnam. There are lots of dodgy taxis outside the War Remnants Museum - avoid them. Not a great look for a museum so charged with righteous fury. The more reputable companies missed the concession it seems. You may have to go for a walk to find the Vinasun, Mai Linh or Vina taxis. This area isn’t bad for a walk. Some of Saigon’s best remaining colonial architecture is located here. Nearby at 60 Vo Van Tan St is the former Saigon residence of controversial US General William Westmoreland, commander of US forces in Vietnam between 1964 and 1968. The building would have been a handsome colonial villa in its day. Its current owners, a tour company, seem disinterested in the building's history or heritage.